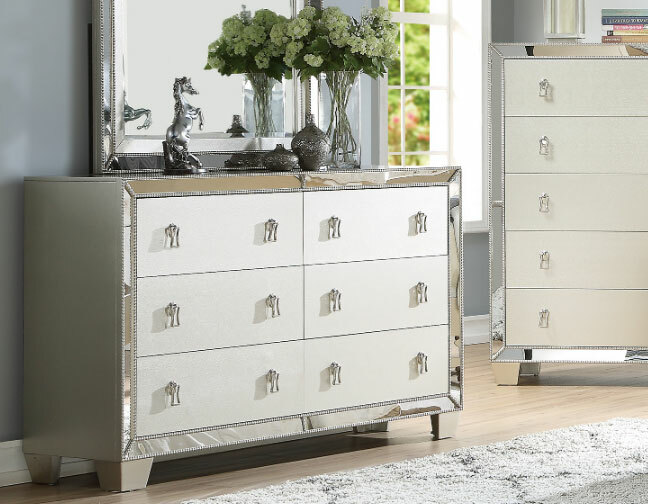 Want to have an upscale glamour look without breaking the bank then the Uptown Glamour Silver Bedroom Collection is calling your name. 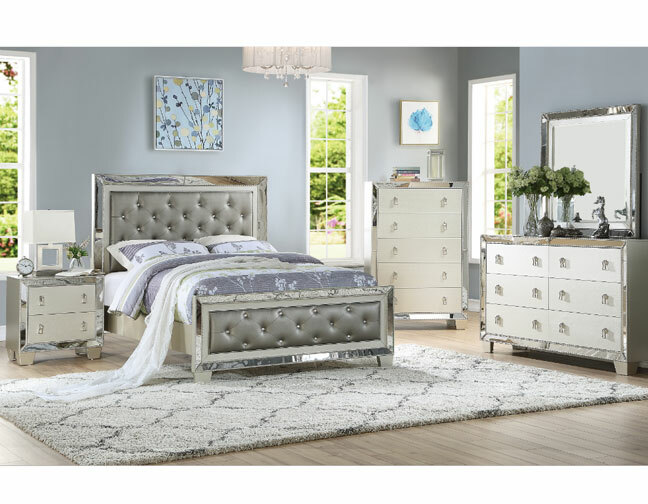 This collection offer a beautiful tufted head board and foot board accent with clear faux diamond at each tuft. 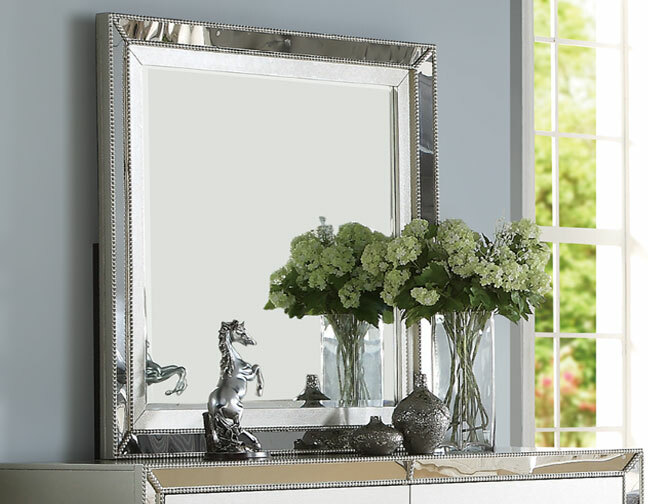 Surround the edge with mirror accent boost it glamour yet still subtle in it modern way. 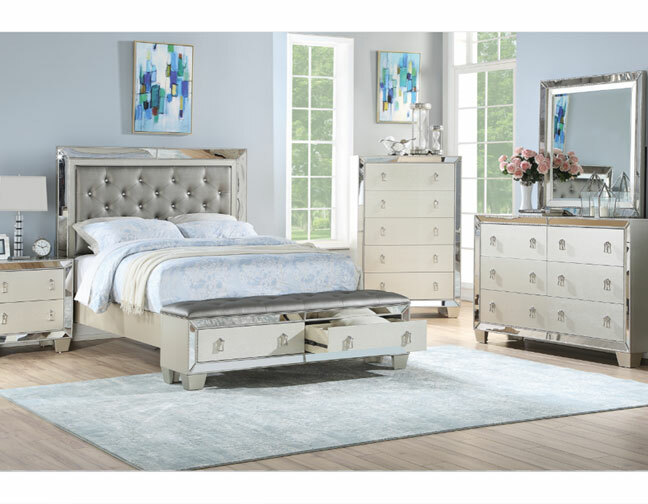 Available in tufted foot board and head board or with tufted storage bench as the foot board added functionally to the Uptown Glamour Silver Faux Leather Bedroom set. 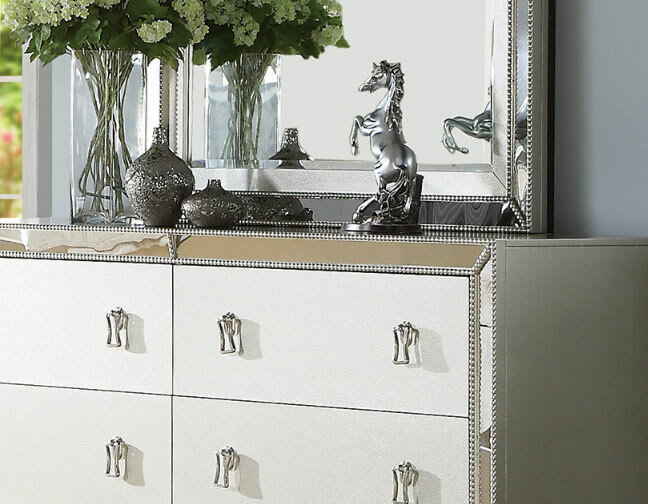 FL Comment: Matching Case goods to the bedroom set sold separately.